Last week it was icy and cold, and I worried that I’d lost interest in gardening. Oh, I was still in it for my day job, researching plant info and managing the plant lust database. 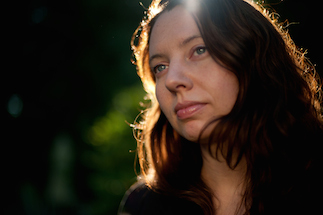 But I wondered if I’d made a switch akin to my relationship with magazines–wherein I’d stopped wanting everything in the magazine, and had become content to just look at everything in the magazine. I mean, who would want to go outside in thoroughly miserable, dangerous, inclement conditions? Several days hence, it melted, and for a few glorious moments, blue sky appeared. And now it’s raining. I’m expecting Noah to show up out front with the Ark any minute. Of course, plants! Ain’t they amazing. Many are responding with aplomb–except for the ones that are not. Here are some of the wondrous things I saw when I finally succumbed to Pumpkin’s Chow Chow mind-trick insistence. Pumpkin: you will bend to my will and take me for a walk. From the south-facing Hot Bed. I stood way back to take a photo of the Yucca whipplei, and for once, it didn’t stab me. It’s just biding its time. Yucca whipplei — looking fantastic. 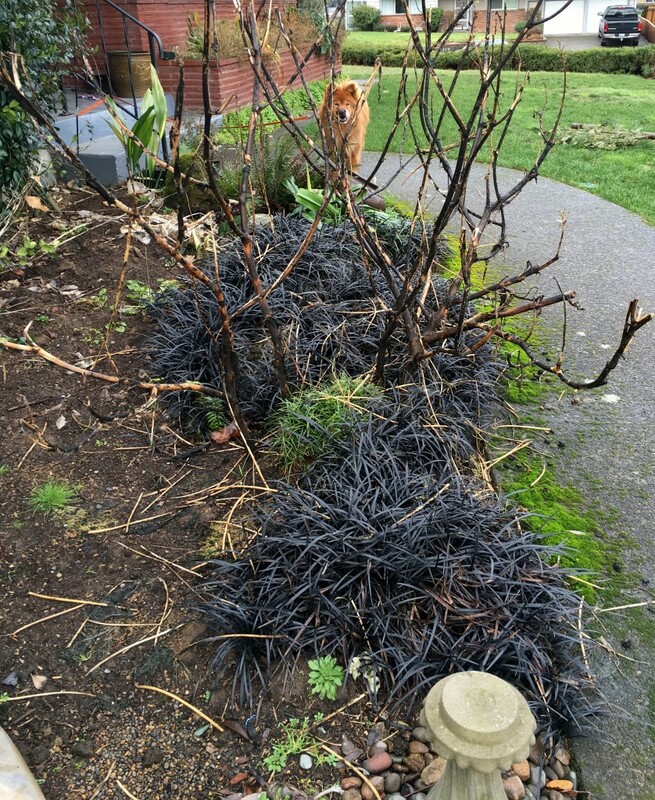 Looking past weeds and debris is high art form. At least that’s what I told myself so I wouldn’t get hopelessly bogged down. 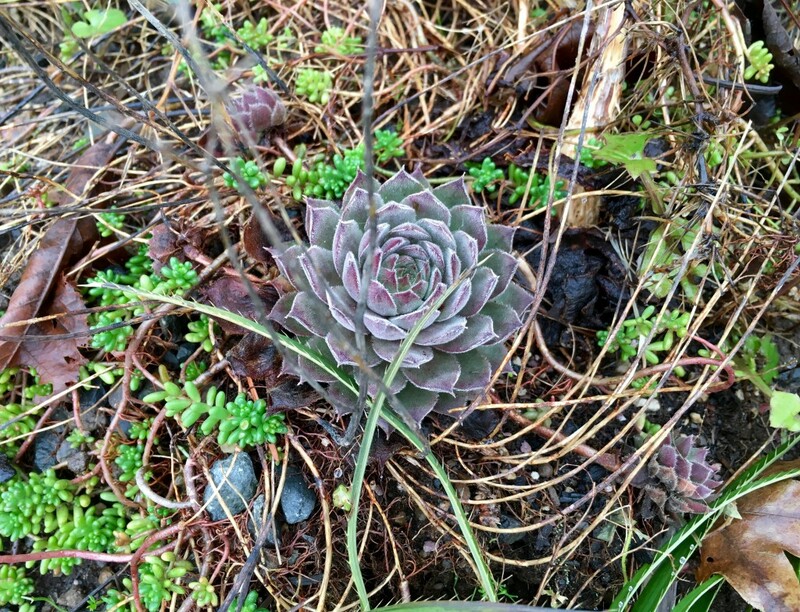 The little Sempervivum that could. Is that perfect, or what. I bet you can imagine how hard it was to not reach in and pick out those Acanthus sennii skeletons. But I’m tough, dammit. 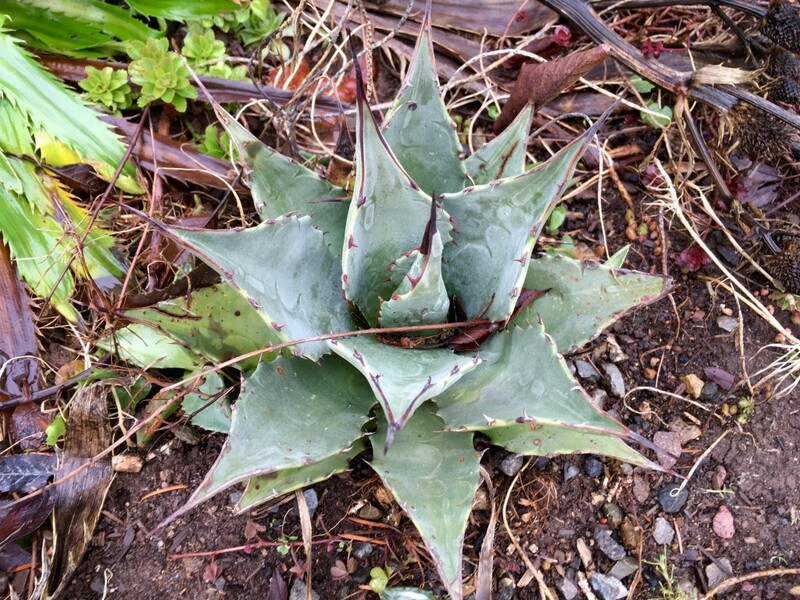 Agave bracteosa aka Squid Agave. As much as I love Sempervivums, you’d think I could keep track of which was which. Sadly, this is not the case. They perform brilliantly just the same. 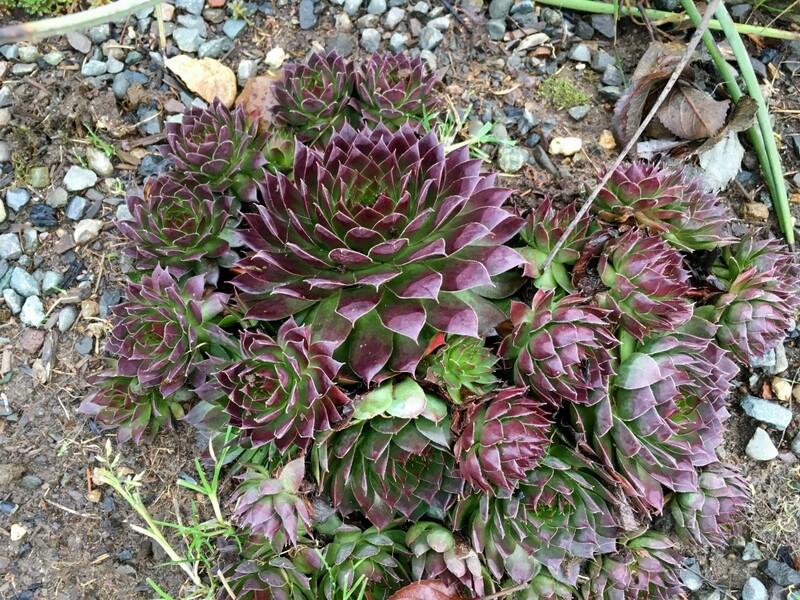 A whole gaggle of Sempervivums. 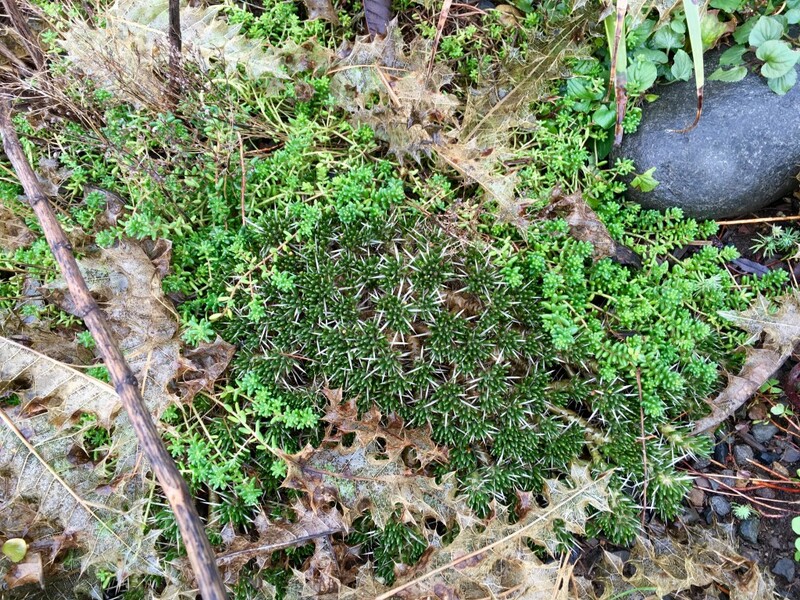 This adorable little groundcover cactus has a devil of a time remembering its name to me! Each time, I go through this sorting process: It reminds me of the common name for that big fried egg poppy. Then I search “poppy” in plant lust until I find Romneya coulteri. And then I check the common name, Matilija Poppy. 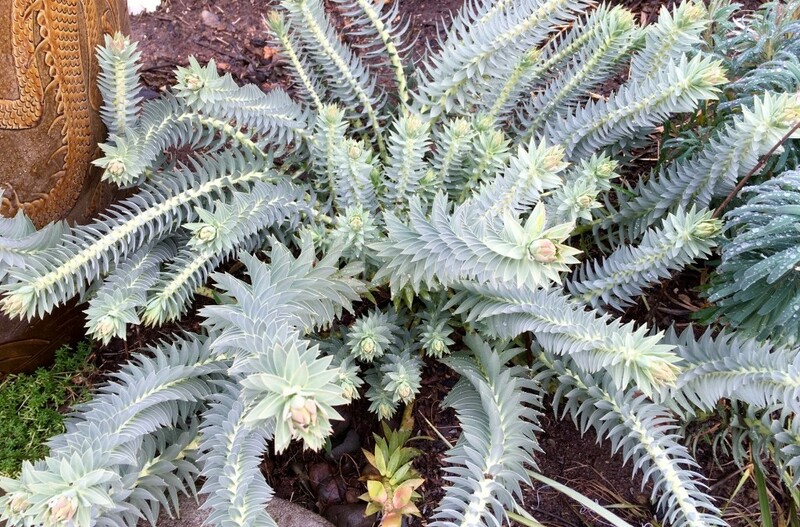 Next I look at the plant lust index page, because I know it starts with an “M”. And somehow, miraculously, I recognize it when I stumble upon it. See, a foolproof method. Maihuenia poeppigii — maybe I’ll see those creamy yellow flowers this year. And the whole about keeping Agave soil dry in winter, I guess they’re serious. 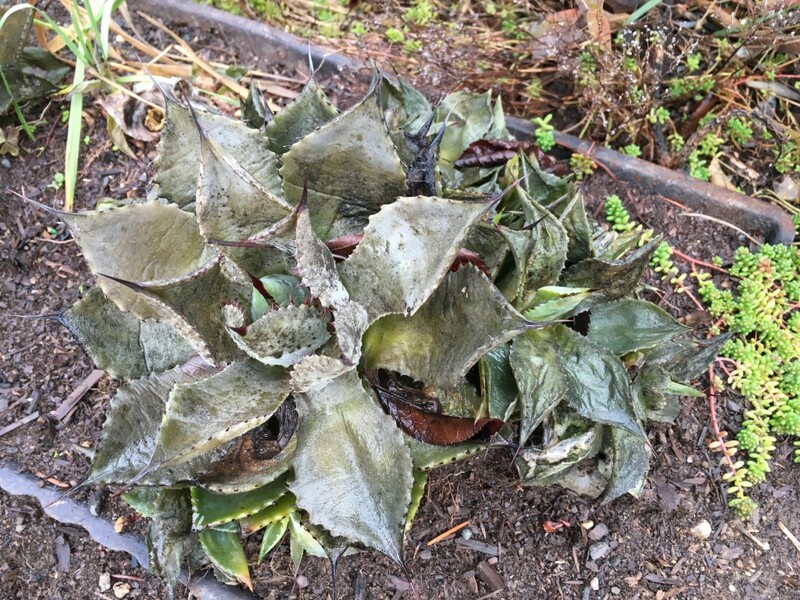 This poor Agave is mush–except the middle part. Does that mean anything? 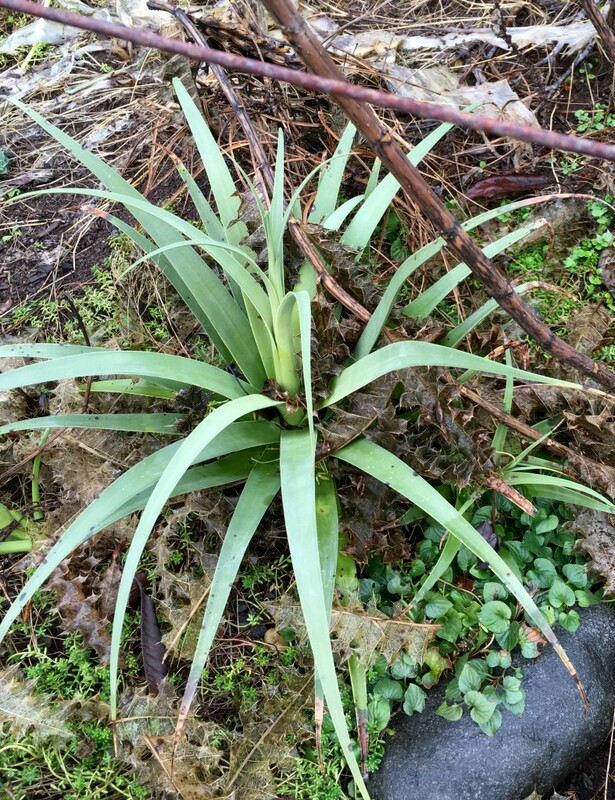 Here’s the same Agave kept outside but under the eaves. Okay, I stand convinced. 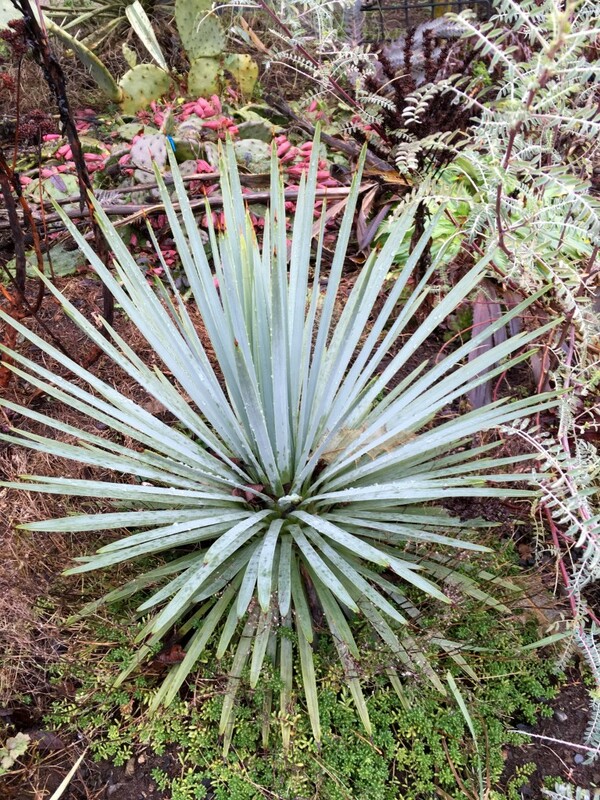 On the other hand, this Agave was just a few feet away from the melted Agaves, planted right in the bed, and not atop an old fireplace grate, is still looking okay. 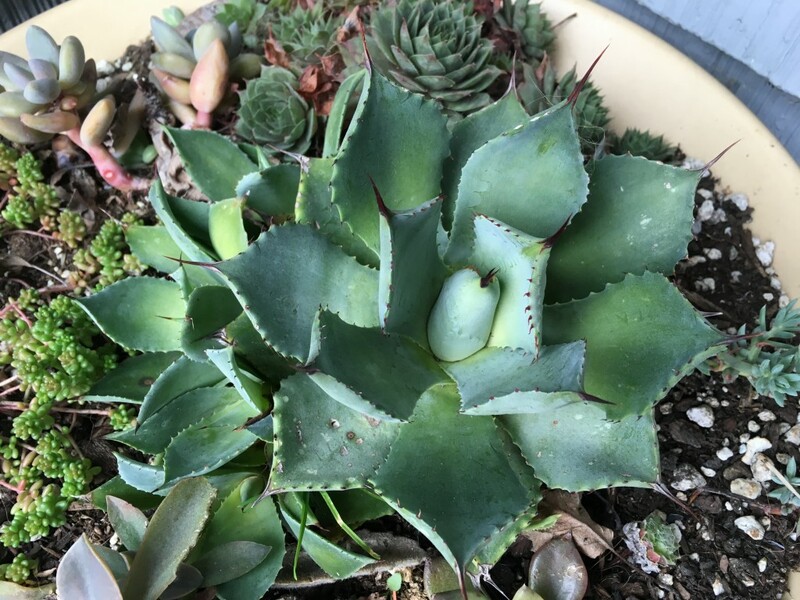 I bought this Agave at the Hardy Plant Society Sale a few years ago, and I’ve moved it a number a times. In the beginning, I didn’t record all my plants, because I had no idea how many there would be to track. So alas, I do not know the name, especially of my early purchases. I’ll try and be better–but no guarantees. Agave with lost name. Anyone recognize? I must keep better track. Next week, we’ll go out front. There’s some super exciting happenings there. Apparently, I am still gaga over gardening. How about you? 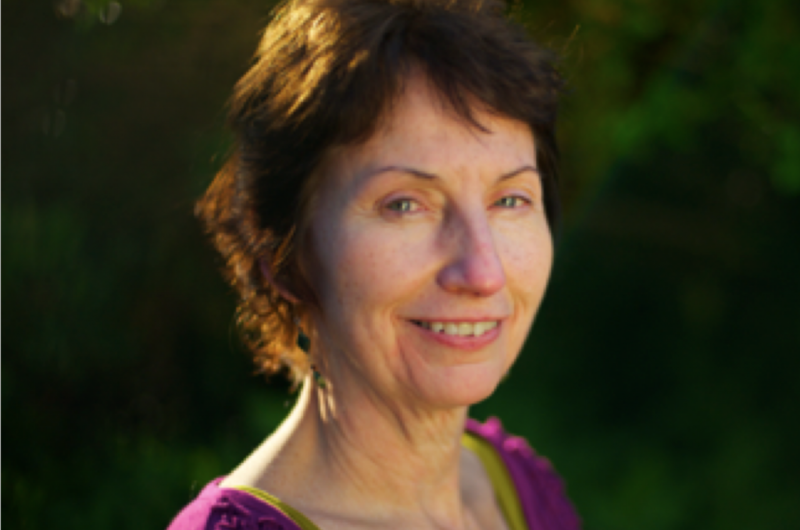 I’d love to hear your exciting developments–gardening and otherwise. Sneak peek out front. 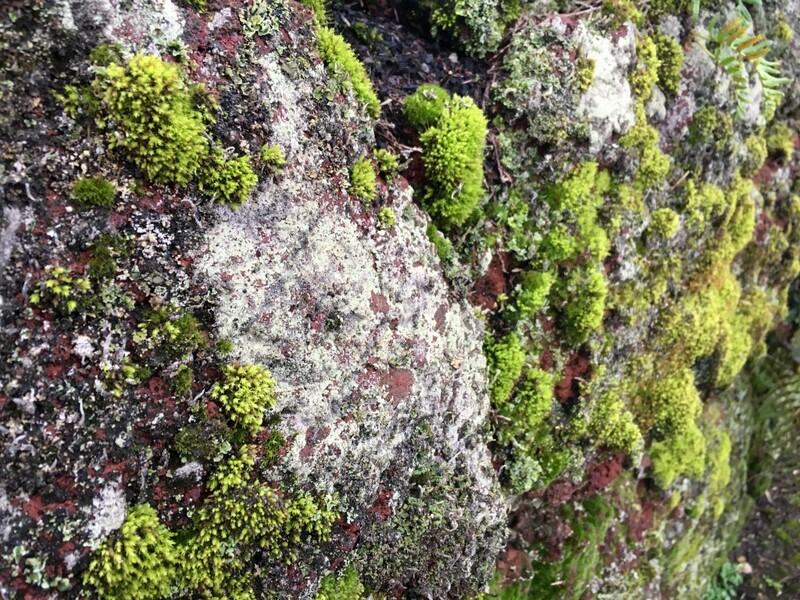 Moss & lichen covered lava rock wall. Steve B., I ask you, what’s not to love?